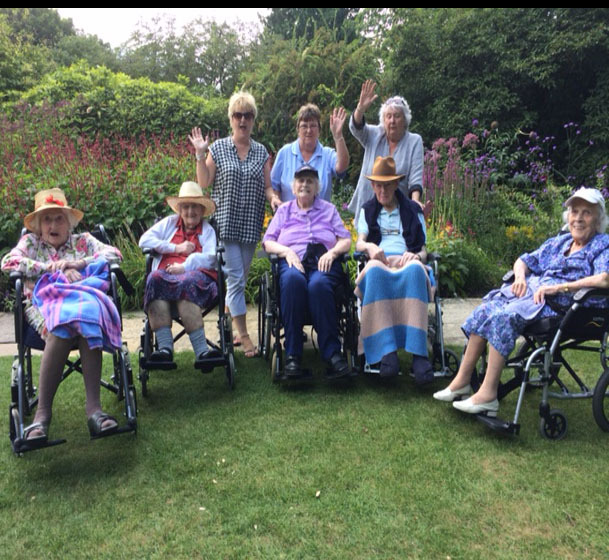 Five Bridgemead residents, along with Heather, Denise and Sonia took advantage of the sunshine by taking a stroll around Bath Botanical Gardens this week,and admired the flower borders in full bloom. Residents enjoyed watching families and children picnicking and playing in the sunshine. Dog walkers stopped to chat and their dogs were petted by all. It was the perfect day for ice-cream at the Royal Pavilion Café in Royal Victoria Park afterwards with a lovely view of the bowling green and tennis courts.